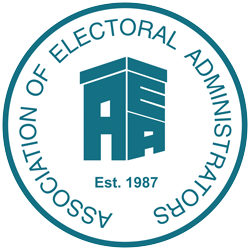 Posts Tagged "Electoral Reform Society"
Electoral Reform Society – Large parts of England are effectively democracy deserts, with hundreds of thousands of potential voters denied real choice in this May’s elections. Electoral Reform Society – For far too many of its members, the second chamber of our Parliament is a private members’ club. The House of Lords – the UK’s revising chamber – is packed to the brim with appointees – and they have a huge sway over our country. Electoral Reform Society – Last summer, ministers announced genuinely exciting plans for piloting ‘deliberative democracy’ across the UK. The plan was to use a series of citizens’ assemblies to engage people with politics, to tackle complex and contested topics, and to break through local political deadlock. Electoral Reform Society: This week the ballots dropped for the world’s most elitist election. A contest to select a new hereditary Crossbench peer to sit in the House of Lords. Electoral Reform Society: The Rt Hon Dame Cheryl Gillan MP contributed this piece as the foreword to our report Reining in the Political ‘Wild West’: Campaign Rules for the 21st Century. Electoral Reform Society: Deliberative forms of democracy are certainly coming into fashion. From the Irish Citizens’ Assembly that led to the historic repeal of their constitutional ban of abortion, to that which informed the Health and Social Care Committee’s recent report on future funding options, the government is looking to citizens to solve otherwise intractable issues.